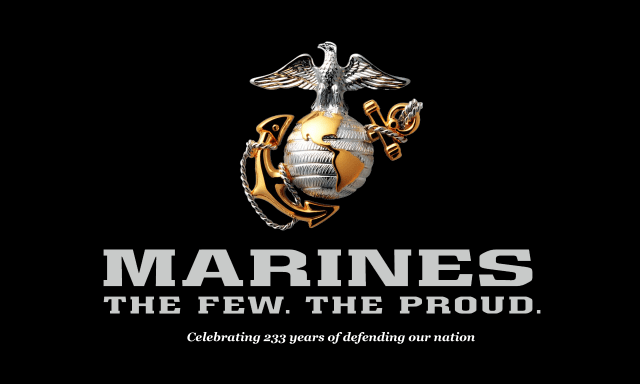 The Marine has good reason to be proud because he defends a nation at the risk of his own life. The man who risks his life to safeguard the weak or helpless has good reason to be proud of doing good. Personally, I tell men and women in uniform every chance I get how I appreciate their service and sacrifice. In a fallen world however, there is a point in which even the good that our military does in safeguarding the lives of it’s people from an aggressive nation can turn into sinful pride. The way of the world has been the way of war. Instead of trusting God for the provisions they need men try to establish themselves as great, and they do so by hurting and killing others that are weaker than themselves. When prophesying of an aggressive nation God spoke through the prophet Habakkuk and said. Idolatry is a sin and one of the things that God holds people guilty for is the sin of making a god out of one’s own strength, as found in the last part of (1:11) “…they whose strength is their god.” In contrast to such sinful pride, which is born out of a sense of one’s own strength, there is the life of faith that God produces in His beloved people. I felt a strong need to take a step of faith at that time in my life. The Christian life is like walking across plains and hills, valleys and mountain tops; regarding my God given faith this was one of my mountain tops. My wife and I and our 2 kids packed up our things in a U haul and started to drive, not knowing where we were going to end up. We decided to stay in Baltimore, as we had spent the night their once and not really for any other reason. We stopped in a bank to open an account and my wife began to talk to the woman and tell her that we were interested in sending our children to a Christian school, and she asked her if she knew of one. Remember, we certainly did not have money to send them there. As it turned out the woman was a Christian and we spent the next month in her basement. We started to attend her church, I made some phone calls and after meeting with one man he told me, “we are not hiring right now but when I saw your resume and decided to make an exception.” The kids attended Christian school for 4 years. Life is never easy, and when you climb a really high mountain and make it to the peak, you never decide to stay there, and you couldn’t if you wanted to. The point to life is not living on the mountain peak, it is understanding that God is just as real on the plain, the hill, and even the valley. He controls all things, He sustains our breathing, heart beat, and literally everything in our world and universe. Whenever we are proud we do not acknowledge God’s presence, we forget He is the creator, He has the final say in all things, and especially that He cares for His beloved children. Only those humbled by the grace of God are able to live by faith and not depend upon their own strength. The righteous man by faith shall live.